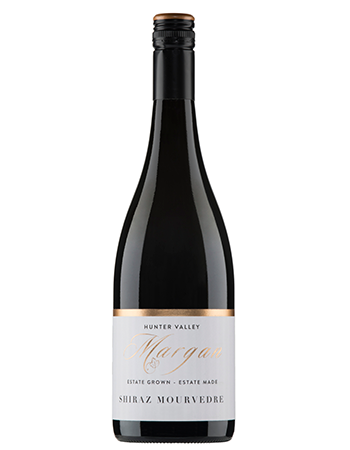 Margan have these two varieties inter-planted in the 50 year old Saxonvale vineyard, located in the Broke Fordwich sub region of the Hunter Valley. Bright purple edges to the colour. Purple lozenge/Throatie cough lolly. A little sweaty, a little dusty. With black jelly bean, plum and moist Christmas cake/spice. Spicy peppery shiraz wrapped around a rod straight spine with herbaceous outer layers. Finely edged, with a medium bodied, dark spiced plushness pushing through to a bright finish with chalky tannins.